During our long, rainy drive home after Thanksgiving, my wife and I got bored and started channel-hopping on the radio. We stopped for a while on the “Patriot” channel, long enough to catch up with what’s going on in the paranoid, squishy fringes of Der Homeland’s right-wing. Or what we call the mainstream of the Republican Party these days. 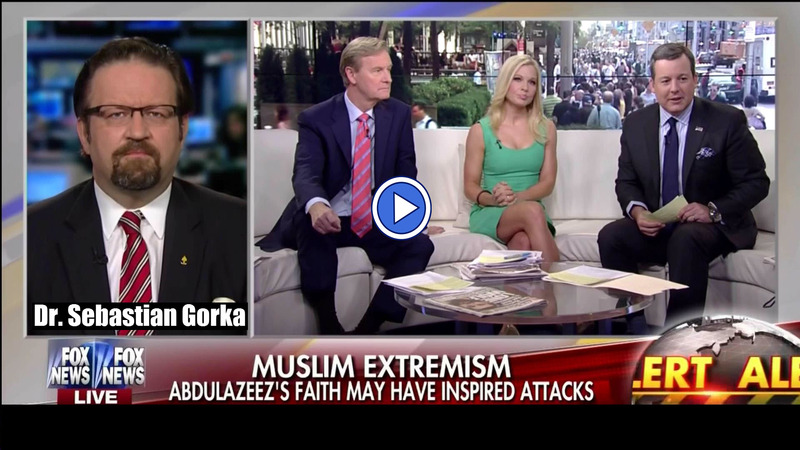 “Patriot” introduced me to a Fox News darling I had never heard of, a so-called terrorism expert by the name of Dr. Sebastian Gorka. Apparently, he’s a regular guest these days on every hate-talk radio show, every right-wing newspaper, and every christianist (you know, those holier-than-thou evangelicals with secret decoder rings who know exactly when to hitch a ride on the Armageddon Express) website out there. Like Johnny Cash, he’s been everywhere, man. He’s also, curiously enough, well-connected to our military industrial complex. His Wikipedia resume reads like a who’s-who of conservative think tanks and let’s-play-army war schools. For example, he’s a fellow at the Foundation for Defense of Democracies. They have a fancy name for an outfit that is wholly fixated on (dare I say obsessed with) Iran. Most of the top backers are rich American and Canadian Jews with strong ties to Israel. I wonder how much influence Dr. Gorka has on who is and is not a “domestic individual of interest” (or who an “affiliate” is)? …which perhaps explains why gun sales increased after the recent terror attacks in Paris and Colorado Springs. It also makes me wonder if Gorka is bullet-proof. Is there anything he can say that is outlandish enough to get him summarily fired from his various Uncle Sam gigs? If the military’s top brass doesn’t consider such statements to be treasonous, or at least incendiary poppycock, then their silence speaks volumes about an organization (arguably the world’s deadliest) that is supposed to be under the authority of an elected, civilian commander in chief. Is disdain for the black man in the White House now so pervasive that it extends — beyond the Republican Party and their tea party rabble — into the highest ranks of our professional warriors? If so, then the neo-con ghouls who lured us into disastrous wars in Iraq and Afghanistan have won. If so, a defense industry dependent on a perpetual-war business model has won. And we the people have lost everything.